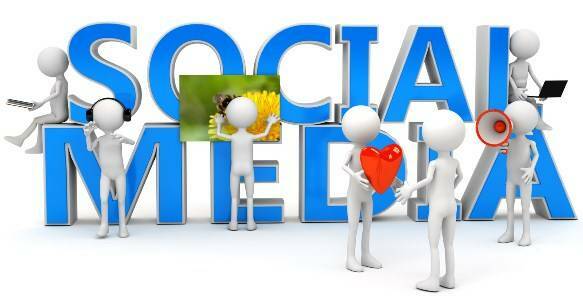 Many businesses have added social media to their marketing plans. But some aren’t sure how to use this tool. Social media offers a lot of potential to businesses, but they do need to understand how to use it in the best way. Here are a few tips to put it to work for your business. Don’t send out “buy our products” Tweets and posts. Just about anything else you want to say on social media is fair game. But actually saying “buy me, buy me, buy me” is a big no-no. Your customers and potential customers use social media to get to know you and your company. Then they buy your products and services because they like you and your company. But definitely send out Tweets or posts about new products and services – just don’t use a “call to action” telling people to buy, simply talk about this new service or product. Understand your company’s tone and voice and stick to them. Each company has a brand and a tone and voice. Sticking to yours will help you be successful. Think of Ben & Jerry’s, the popular ice cream company. They are friendly, maybe even a little goofy and creative. Not sure what your tone and voice are? Try thinking of your ideal customer, who they are and how you would describe them. Then think of how you would communicate to reach them most successfully. Put someone in charge of social media for your small business. One of the biggest mistakes is to say that “someone” will do your social media. Quite often, this means that everyone and no one winds up doing it. You can have three people post in a day or you can have no one post a thing. Decide one person is in charge and let them run the schedule, even if you let other people post, that one person coordinates it all. Some who decide to do social media forget this about it. It is like having a conversation. Your most successful posts often will be ones that encourage people to interact with you. Ask a question or hold a contest. Post a picture and ask people what the caption should be. Don’t be so focused on sending out posts and Tweets that you don’t pay attention to the potential for the conversation coming back at you. Try following some of the thought leaders or successful people in your niche or industry. Not only is this a great opportunity to connect, but you will probably get great posts or Tweets to re Tweet or comment on, which is a big part of doing social media. Sending out re Tweets from someone known in your industry to your followers shows that you know who is important in your industry, that you pay attention to that. Still stumped? Try listening for a few days. This is one of the best things you can do, if you are feeling a little shy about social media. Spend a few days following and “listening” to some of your favorite companies and people on social media. See what they do and what you think is great. This will help give you ideas for your own social media.